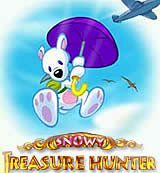 Snowy is back with an all new Platformer adventure game! Tired of his restaurant business, he dives into the journey of a life time! This time he goes to the Ancient Mystery Castle and its full of treasures and all kinds of new foes for you to foil.